Della Stout can hardly believe it when her father tells her he's lost it all - the money, the house, the servants, their entire fortune. But things only get worse when they inform her she's to be sent west, as a mail order bride. When she meets her husband to be, she's less than impressed - by him and the dusty little town he lives in. A cute story about finding love. Everything in Hazel's perfect life is going according to plan. Every moment is accounted for. But she's in for a surprise. When her best friend and roommate takes ill, Jenny begs Hazel to fill in for her on a trip to South Georgia. But life on a horse ranch in her Jimmy Choos isn't exactly what Hazel had in mind for her summer break. Genevieve Waters-Ewing is married. She's married to a man she doesn't love, and didn't agree to marry. The scoundrel dragged her to the altar, and now everything is going to change. In a split second decision, she runs away, and stows aboard a chuck wagon that's leaving on a cattle drive, heading north to Montana. She doesn't know where she'll go, or what she'll do, she only knows one thing - she has to leave Fort Worth, Texas. Gwen Alder is starting over - divorced and broke, she’s come to Billings, Montana, for a new beginning. But waitressing in a roadside diner for the summer isn’t paying the bills. Heath Montgomery has it all - fame, fortune, and a megawatt smile, but one thing he doesn’t have is a date for his cousin’s wedding. When they cross paths, Heath has an idea - what if he paid her to be his date? They didn’t want anything more than a simple arrangement. They never planned to fall in love. But sometimes Cupid has a mind of his own. A silver-mine cave-in and lumber-camp mudslide caused a shortage of young men in town. Women were saddled with running businesses and ranches alone. 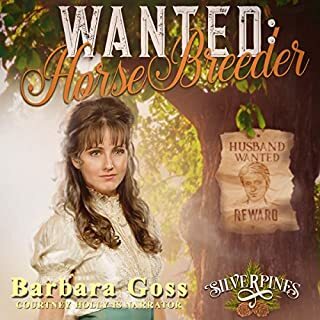 Laura Bennett, owner of White Oaks ranch, sends for a mail-order husband. Max Winters lost the love of his life, Catherine, to another man, so he decides to answer Laura's ad. He travels to Silverpines and is met with a beautiful bride and her adorable daughter, but also many trials and setbacks. Will they overcome the tribulations and truly fall in love even after Catherine shows up as a widow? Susan Farr loses her parents and her home in one swoop. She takes her horse and rides to Independence, Missouri, to join a wagon train and start a new life. Mike Todd, the wagon master, doesn’t allow single women to have their own wagons. It causes fights and distractions. Susan solves her problem by marrying Clancy Willis in name only. Unfortunately, Clancy’s true nature doesn’t take long to show, and Susan finds herself married to a drunkard. Her father lost everything to a swindler in New York, and now, she's been sent west as a mail-order bride. Pearl Stout is angry. Her parents put her on a train to the Arizona frontier to marry a man she's never met and didn't agree to marry. Feeling betrayed and alone, at first, she goes along with their plan. But before long, she discovers the freedom that can accompany a pioneering life and grabs onto it with both hands. Pearl's intended is Hilton Pullman, a local reporter for the Tucson Gazette. He's tired of being alone - his parents died when he was young, and his older brother abandoned him after losing his own fiancée. But when that trouble-making brother, Hank, returns right before the wedding, Hilton’s carefully laid plans are thrown into question. Will Pearl marry her intended? Or will she forge her own path along the Western frontier and discover love along the way? Listen to this final installment in the historical Cowboys & Debutantes series from a best-selling author and learn once and for all the fate of our fallen-from-grace debutantes. “Pearl” is an enjoyable & entertaining read/listen with great storylines and characters. 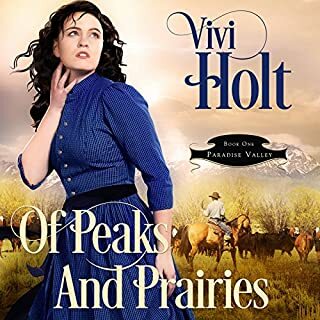 It is the first Vivi Holt book I read, also the first historical mail order book. Thankfully society has come a long way since then. Great character development, Pearl Stout a NY Debutant is thrown from one lifestyle into another world, a small town amongst the wild frontier. She is faced with new challenges, handles each one and learns to be an independent woman. I loved the rebellion in her & how she stood up for herself, you can not help but root for her along the way. Her intended husband, Hilton, an interesting character with OCD issues just does not do it for her. Hank, his brother is another story. But Hank, a rugged pistol carrying cowboy, a professed bachelor who does not plan on settling down ever. I loved the tale of the red ghost and how it played out. Also thought Belle was a hoot too. 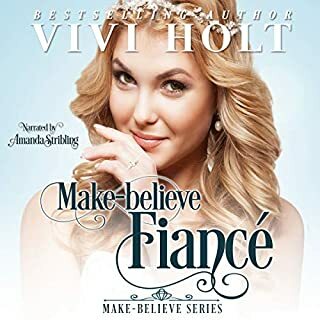 Vivi Holt, thank you for this great book! I listened to the audio edition, narrated by the amazingly talented Meghan Kelly. She performs the voices of all the different characters, giving each their own unique and distinguishable voice. The back and forth dialogue is performed effortlessly & keeps the story in a perfect flow. She sets a perfect tone, adds the right amount of dramatic flair that enhances the story even more. Meghan Kelly, thank you for another great listen. Pearl has been forced into becoming a mail order bride. Once she arrives in Tucson she realizes she’s out from under her parents control and she can make her own decisions. Being the strong, independent woman that she is, Pearl considers her options... is marrying Hilton her what’s best? 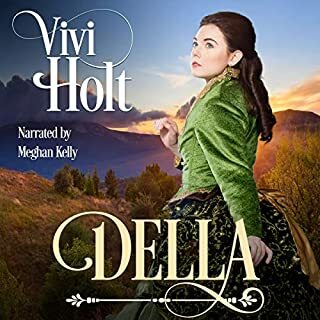 Vivi Holt is a great storyteller and Meghan Kelly is a phenomenal narrator. When the 2 pair up, you are in for a treat! Vivi Holt has based this story on true facts. Pearl's strength and determination come through when she is forced into a new environment. In the frontier era both men and women had to be strong. This is the first time I have read a book by this author and I really enjoyed it. It is a book that kids could read. Meghan Kelly is an excellent narrator. Her transition from male and female voices to is effortless. Her male voices are realistic. I have just recently listened to her book narration and I am now a fan. I received this book in exchange for a review. I definitely recommend it. A good listen and you enjoyed listening to the very good performance artist and it had a good cast of characters and really good descriptions of every situation and the story flowed quite nicely. So when you get a chance pick up a copy and enjoy. I really enjoyed listening to this wonderful story. It sure made my daily commute better. I couldn’t believe how strong Pearl became after she left her life of privilege behind. This is a must listen, I absolutely loved it. "I was given this free review copy audiobook at my request and have voluntarily left this review." Pearl, a young lady of seventeenn, had just been told by her parents that they had beern cheated by a business associate and were broke, Because of this disaster Pearl and her sisters were being sent west as Mail Order Brides.Pearl was very angry about this, but because she had no where else to go she obeyed her parents. This is a good book and I enjoyed watchlihg Pearl lose her big city ways and become a pioneer, learning to drive a stage and shoot a gun. 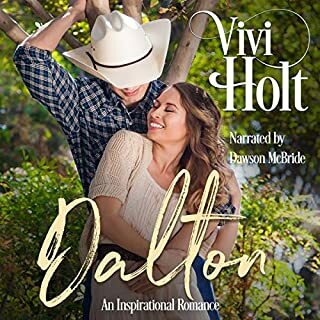 The story was written by Vivi Holt and narrated by Meghan Kelly, who did an excellent job. 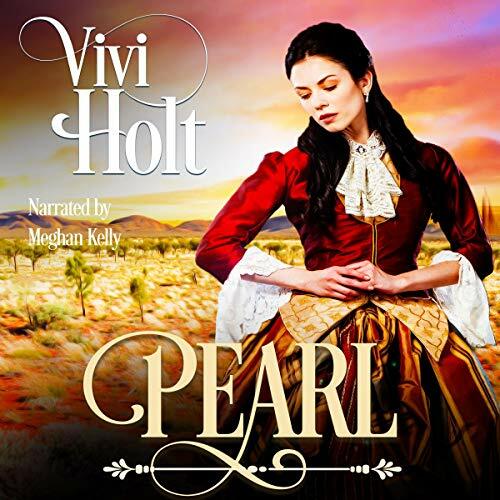 Pearl is another jewel in Vivi Holt's storybook. I truly enjoyed listening to the book. It was sweet and funny. Pearl is sent out west as a mail order bride. She does what is expected and goes but finds being independent enticing. She must decide if marriage or independence is The better choice. Love the twists and turns. Women always seem to fall for the bad guy. Will Pearl? And what is that red Thing? I loved the twist and turns in this book you were never quite too sure which way it will go. Meghan Kelly is a great narrator for this book. She as always brings the characters along and keeps you guessing right along with the author. This was a good book and I read it in one sitting. was given to me for free at my request and I provided this voluntary review. The family has been swindled and bankrupted; three debutante sisters, the pride of society, have now lost all social standing--and any promises made by aspiring suitors have been forgone. Papa's solution? Ship them off as mail-order brides. Each of the girls ends up in a different state or territory. Pearl's destination is Tucson, Arizona Territory, with a pair of freed slaves as travel companions who introduce her to the concept of freedom and making choices for herself. Lest anyone think the emancipation of women was not an ongoing struggle through the millenia, Pearl's papa's absolute belief that he had the right to use his daughters as chattel was still the societal norm despite the progress being made in the west as women proved their mettle taking on any and every job as needed. Vivi Holt's story pushes the boundaries a bit but precedence existed. Meghan Kelly's excellent narration keeps you focused on the unfolding story and not pondering the probabilities of survival, and, as this is a romance we are guaranteed a happy ending! But not, perhaps, what you might first have expected! Although this is a series each of these books can be read as a standalone. Pearl's parents send her off as a mail order bride after loosing everything. On the last leg of her journey Pearl meets a new friend that teaches her she can make her own way in the world and she does not have to answer to anyone but herself. The story is super fun as you hear about Pearl coming into the person she really wants to be and how independent she becomes in a time when women were not so independent. I love the bit of mystery woven into this one and the legend or lure told about it! Great job on the narration and really bringing the story to life.